Hey guys, so I recently built a new PC with an ASRock x470 Taichi (non-Ultimate) and I noticed something that slightly bugs me. I've went with a white build so most of my parts are either white or have white leds and naturally I've downloaded the ASRock RGB Sync software so I can set all my motherboard leds to white. 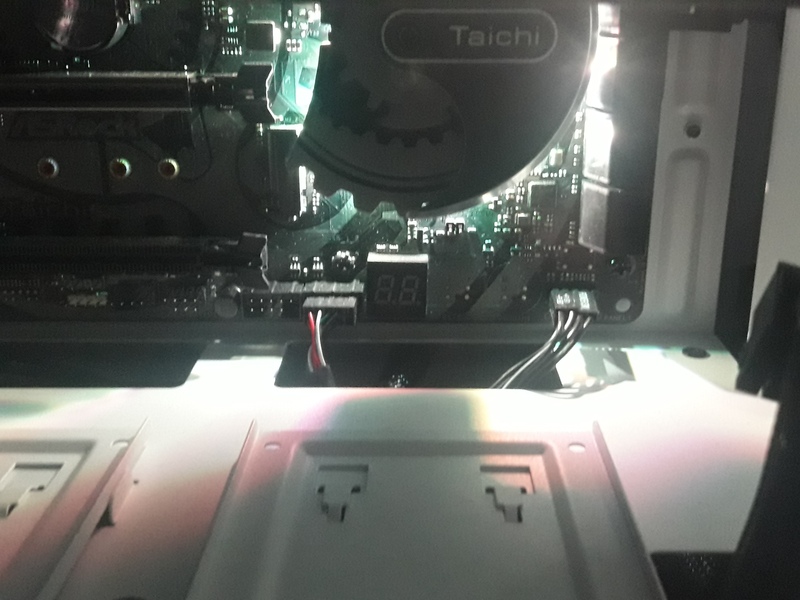 Thing is, while everything else is fine, the IO Cover led (top-left) leds are yellow-greenish when I set them to white. Any other color works fine and is clear, but as soon as I set it to white it goes back to the same yellow/green tint. So I wanted to know if this is a general issue with this motherboard or if it's only mine and if so, if there's any way to fix it. Do all the other components in your RGB eco system show off white as you intend it to? I've worked with the same though Ultimate version board and all the LED's on it seemed with a blue tint to it or as you're saying with a green-yellow tint. 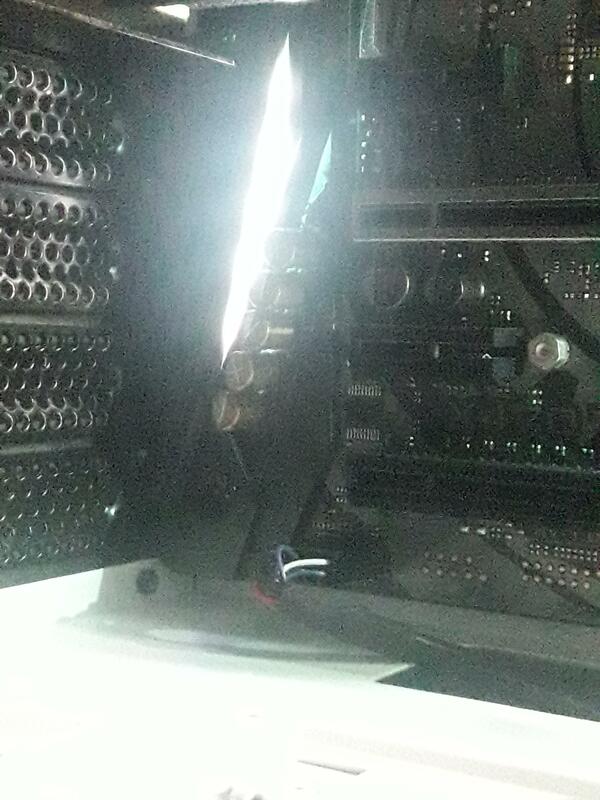 I'd be curious if the light reflecting off the heatsink is causing the colors to skew. 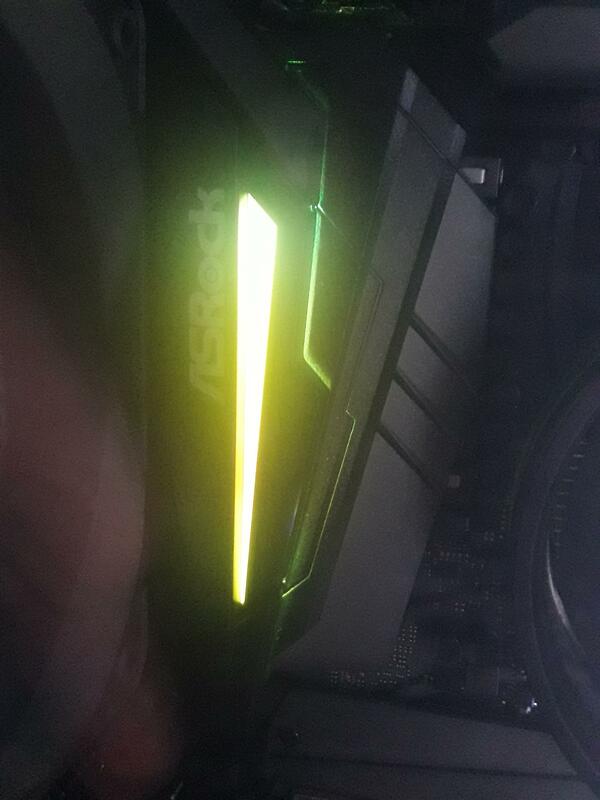 You might want to open up a correspondence with ASRock support alongside a video of you demonstrating how the RGB is imbalanced. I took some pictures to show the difference, apparently there's a weird red reflection coming from the PCH heatsink as well, though the color is mostly white. So this was the reply of ASRock support after I emailed them. Asrock Z370 Taichi audio driver sound issue please help!